3-William Samuel Walker was born on 20 Mar 1869 in Westbury, Tasmania and died on 3 Apr 1947 at age 78. William married Amelia Redman, daughter of Thomas and Sarah Ann Redman. Amelia was born in 1877 in New Zealand and died on 14 Aug 1963 at age 86. After working on the farm at Osmaston with his father, William went to New Zealand with a shearing gang in 1898, working in the Dunedin area. 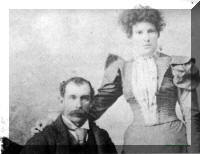 He met and married Amelia Redman of Blue Spurr, an early gold mining village. They had two sons, Stanley Laurence and Hubert Lindsay. Hubert had diabetes from which he died (2nd September, 1933) aged 32 years. Stanley married Caroline Agnes P., unfortunately her maiden name is unknown. William died at Dunedin on 3rd April, 1947 and Amelia died at Dunedin also, 14th August, 1963. Both are buried at East Laiera cemetery, New Zealand. 4-Hubert Lindsay Walker was born on 31 May 1901 in Osmaston and died on 2 Sep 1933 at age 32. 4-Stanley Lawrence Walker was born in 1907 in New Zealand. Stanley married Caroline Agnes. They had three children: Caroline Joyce, Shirley Agnes and Russell Lindsay. 5-Caroline Joyce Walker was born on 22 Sep 1925. Caroline married Noel Batchelor. They had four children: Dianne Joyce, Faith Rosemary, Noel Theodore and Sandy. 6-Dianne Joyce Batchelor. Dianne married Graeme Butler. They had three children: Michael, Gene and Samuel. 6-Faith Rosemary Batchelor. 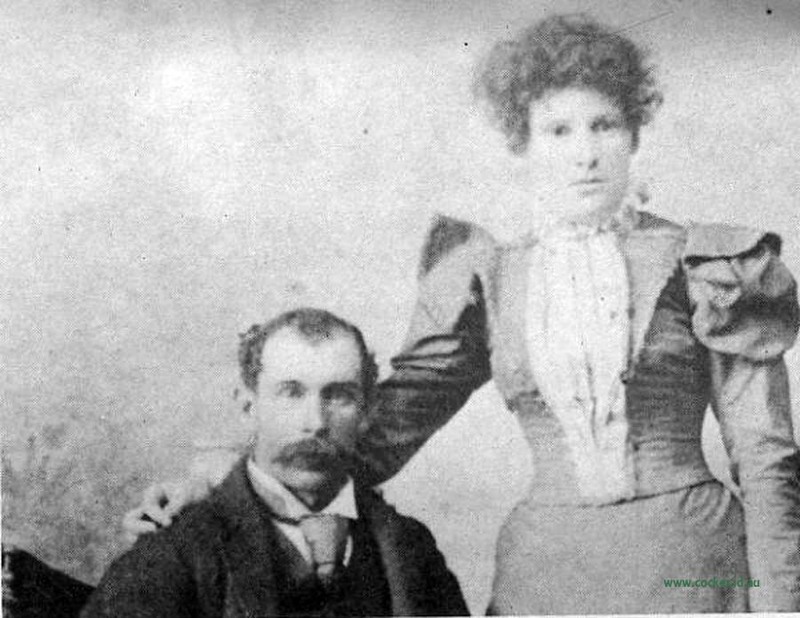 Faith married Allan Campbell. They had two children: Reuben and Jasmine. 6-Noel Theodore Batchelor. Noel married Mary Anne. They had three children: Aaron, Justin and Rachel. 5-Shirley Agnes Walker was born on 24 Dec 1930. Shirley married James Raymond Sullivan. They had three children: Michael John, Colleen Shirley and Sharon. 6-Michael John Sullivan. Michael married Beverley. They had one son: Sean. 6-Colleen Shirley Sullivan. Colleen married John Morris. They had two children: Teena and Jamie. 6-Sharon Sullivan. Sharon married someone. He had one daughter: Harmony. 5-Russell Lindsay Walker was born on 11 Jan 1942. Russell married Mary Ann Maree. They had two children: Russell John and Julie Anne-Maree. 6-Russell John Walker was born on 8 Feb 1971. 6-Julie Anne-Maree Walker was born on 13 May 1973.